My beloved grandfather Jayantilal Narsidas Dattani was born on 15 June 1934 in Porbander, India. 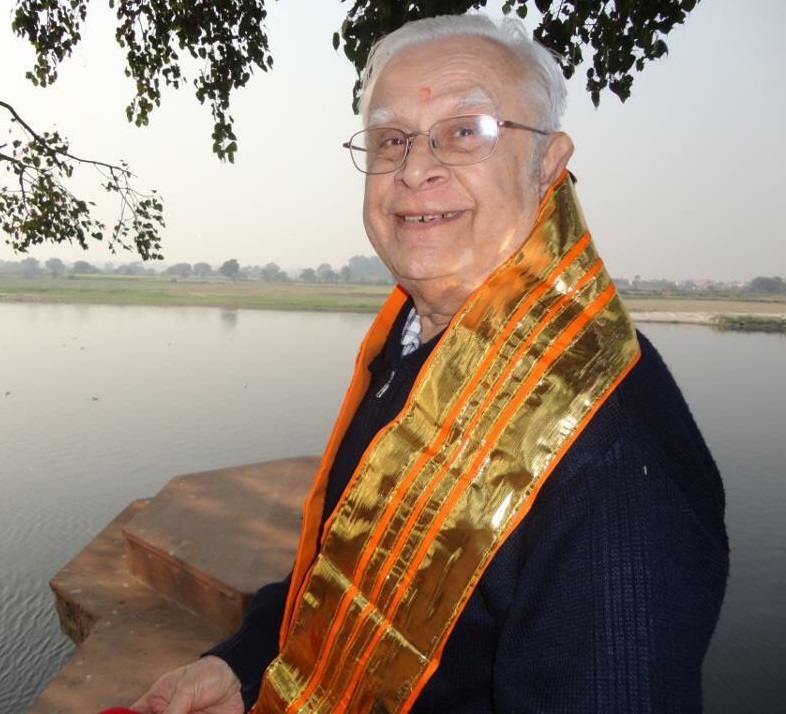 He was the eldest child of 10 children born to Narsidas Kalidas Dattani and Premkurben Narsidas Dattani. In 1955 at age 21 he married my grandmother Kanta Nathalal Kanabar. They began their married lives in Kenya, moved to Uganda, and eventually settled in Britain in 1969. They both worked very hard to purchase a family home in Leicester. 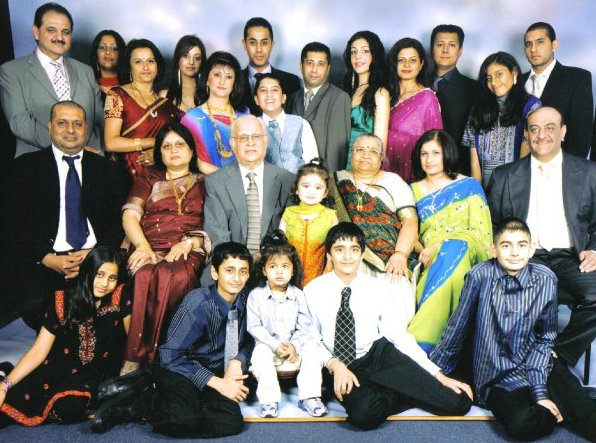 They had 5 daughters – Naina, Daxa, Amita, Sonal and Dinta – and from their daughters’ marriages they gained 5 sons-in-law and 14 grandchildren. 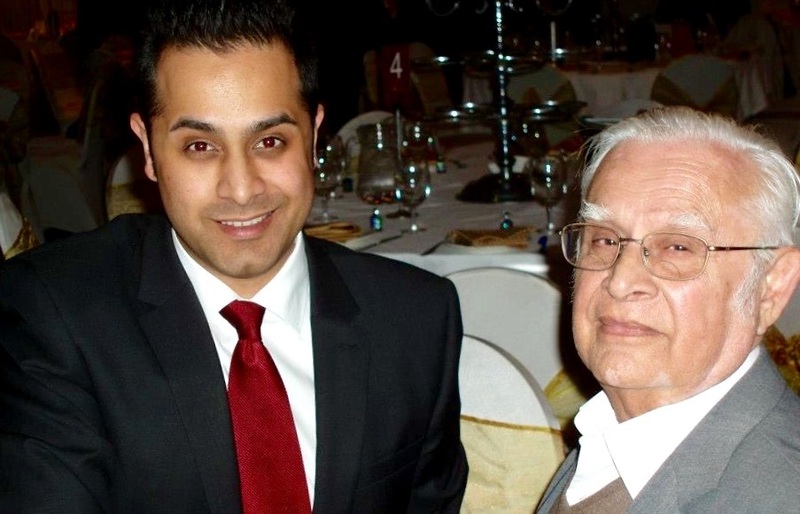 After a long, happy and fulfilling life my grandfather passed away peacefully at home on Wednesday 6 May 2015. Everyone has experienced loss before. We all know what it feels like to lose someone we love. Sadly for our family the loss of our father and grandfather is all the more distressing because it happened so suddenly. On Wednesday morning he was laughing, joking and spending time with those he loved. By late afternoon he was gone. As a father, grandfather, brother and uncle, Jayantilal Narsidas Dattani lived a long, happy and fulfilling life for 80 years and 11 months. He was loving, supportive, independent and stubborn. He was also sensitive, kind and a real perfectionist, always wanting everything to be clean, tidy and in its rightful place. He was the best grandfather; silly and playful, and always interested in what was going on in each of our lives. He poked fun at all of his grandchildren from a young age. His favourite catchphrase was “eneh ghoro ghoro khawo cheh” (you want to ride the horsey horsey) – or if we visited him at home he would say “ja Kitkat layleh” (go, take a Kitkat). Nana teased the non-vegetarians, saying that all we ever ate was sausages, and he had various nicknames for us all. For example I was his Prime Minister, Niraj was always called “teenio”, and his youngest granddaughter Ria was his “dhingli” (doll). But nana also had a more formal side. He took his responsibilities as a husband and father extremely seriously. Time and again he demonstrated his love, compassion, integrity and work ethic. 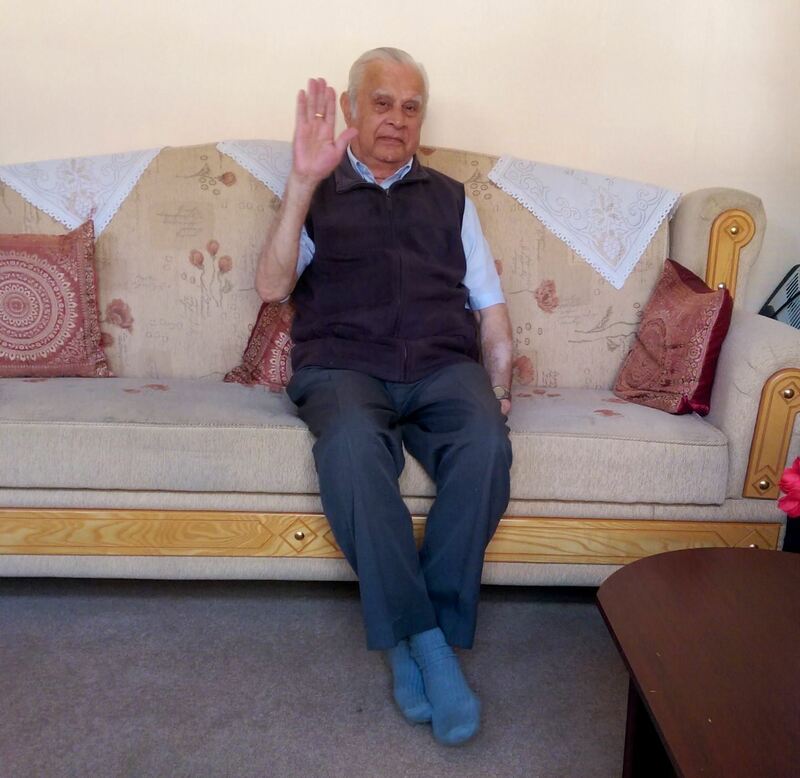 He moved his family around East Africa and then eventually to Britain, always with the love and support of his beloved wife, Kantaben Jayantilal Dattani. He worked long back-breaking hours in tough jobs to provide for his family. Together with his wife they raised their 5 daughters, helped them to meet and marry their husbands, and then cherished all of their 14 grandchildren. In-fact he became a father figure at a very young age, assisting his parents with their finances and, together with his wife, working to raise not only his own brothers and sisters, but also his wife’s brothers and sisters. He was a father to many, not for any personal recognition, but because it was his duty and he had so much love for those younger than him. That’s the kind of person he was. Not selfish, but selfless; thinking and doing more for others than he did for himself. His character developed over many years of marriage with Kanta, the love of his life. Where he was sensitive, she made him strong. Where he was sometimes indecisive, she got him to decide and act. And where he was a bit stingy when they went shopping, she would make him get his wallet out! Nana felt lost and lonely after the passing of his wife in early 2012, but his daughters, sons and grandkids rallied round. We kept him happy and interested in life. He loved going to India despite his occasional poor health. But we fulfilled his wish of going on jathra (pilgrimage) and completing jamanapan (religious rituals) for his late wife, as well as feeding 101 priests a variety of food over three days. Whilst on his last trip to India he really enjoyed his freedom, dressing up nicely and eating at some of the finest hotels and restaurants. He was so happy and overjoyed when his daughters, sons and grandchildren celebrated his 80th birthday in June last year. 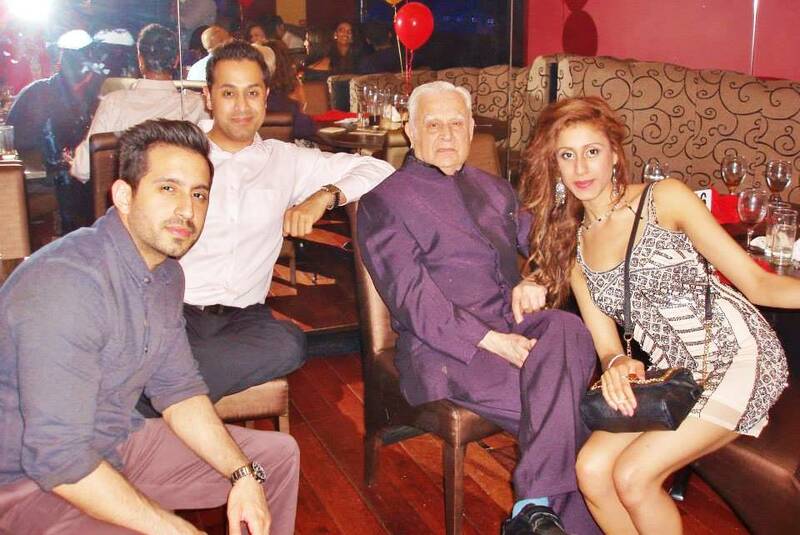 He was a real family man and enjoyed having his loved ones around him, talking loudly and laughing together. Nana and nanima were very proud of the unity they had created amongst their 5 daughters and their families. After nanima passed away, nana felt he still had a mission to complete: to see his grandkids married off and to keep his daughters smiling. He never wanted to concern his daughters. If he had a fall or a health problem he didn’t want the girls to know, because he knew they would first tell him off, but then start to worry about him. At the same time he loved having a good old chat with his daughters. 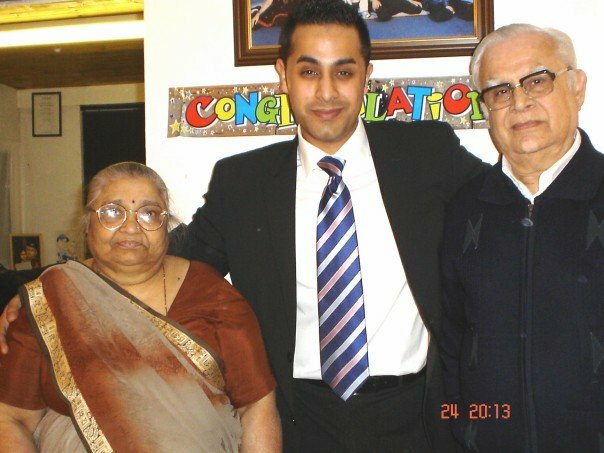 Whenever Amita auntie or Dinta auntie came to Leicester to see him, he would start ringing round to let everyone know they were here. With my mum Naina he used to joke that she ate tul like chevdo and he always relied on her for his head massages. Sonal auntie was his tornado; she would rush around him and get things sorted out. And he would ring Daxa auntie to share his pains, his sorrows, and his pleasure. Most of all he loved talking with his daughters about anything and everything – and he was terrible at keeping secrets. But he also enjoyed celebrating good news and he had so much to look forward to and so much to live for. Later this year he was going to attend Suraj and Janki’s engagement chundari and he was so thrilled to be finally getting a daughter-in-law. 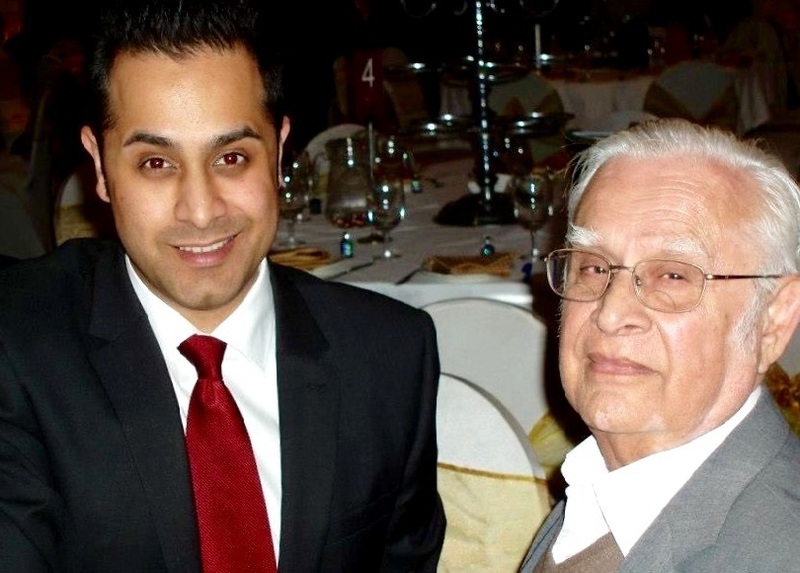 He was also looking forward to Sejal and Steven’s wedding, the second of his grandkids to get married. 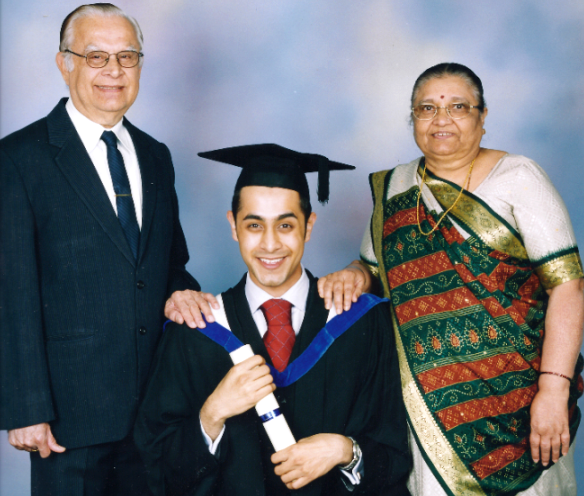 And he was so thrilled at the prospect of finally becoming a great grandfather later this year, with Sharina and Bunty expecting their first child. Nana was a man of faith and read his prayers often. In later years it was clear his spirit had outgrown his body. His mind, his soul, and his hopes were full of youth, but his body had become frail. In recent weeks he had started to have visions of his beloved wife Kanta. He told us he had actually seen her appearing to him, calling to him. So now he has been reunited with the love of his life. The energy of his being has been transformed and will live on for eternity. He is now, and he will always remain, a huge part of us all. Although we miss him more than anyone can imagine, we are grateful that we managed to spend so much time with him, especially in these last few years. But now his wife Kanta has her husband back. And that’s how they will remain. Together – forever. My beloved grandmother Kantaben Jayantilal Dattani was born Kanta Nathalal Kanabar in Kenya on 5 February 1938. She was the eldest child of 7 children born to Nathalal Jivan Kanabar and Premkurben Nathalal Kanabar. In 1955 at age 17 she married my grandfather Jayantilal Narsidas Dattani. They began their married lives in Kenya, moved to Uganda and then eventually settled in Britain in 1969. They both worked very hard to purchase a family home in Leicester. They had 5 daughters, and from their daughters’ marriages, they gained 5 son-in-laws and 14 grandchildren. After leading a wonderful, fulfilling and exemplary life, and enjoying a marriage that lasted 57 years, my grandmother took her last breath on Sunday 15 January 2012 surrounded by her family. Losing my grandmother has been an exceptionally difficult and distressing time for me and my entire family. We didn’t just lose a wife and a mother, a sister and a grandmother; we lost the rock upon which our family was built. She was our strength and stability in an uncertain world. She was our source of unconditional love when things were tough. She was our friend bringing joy into our lives with her infectious smile and cheeky sense of humour. And she was our spiritual guru, teaching us how to lead exemplary lives, how to love, how to respect women, and how to praise the word of almighty God. Understandably everyone that knows us will by now have gone back to their normal everyday lives. But for us, our lives have been changed forever, because our mother has left us. But she has left us safe in the knowledge that we, her sons and daughters, are now the living embodiment of her values, her teachings and her compassion. Anyone who really knew my nanima knew that she was a great soul with an abundance of love. This is because she was a mother for most of her life. Not only was she a mother figure to her own younger brothers and sisters, but she also became a mother figure to her younger brothers and sisters-in-law at the tender age of 19, following the untimely death of her mother-in-law. At age 20 she became a mother to her own children when she gave birth to the first of her five daughters. As her faith in God grew stronger with each passing year so her blessings multiplied. Not only was she blessed with 5 daughters, and through their marriages, 5 sons, but she was also blessed with 14 grandchildren; 7 boys and 7 girls. 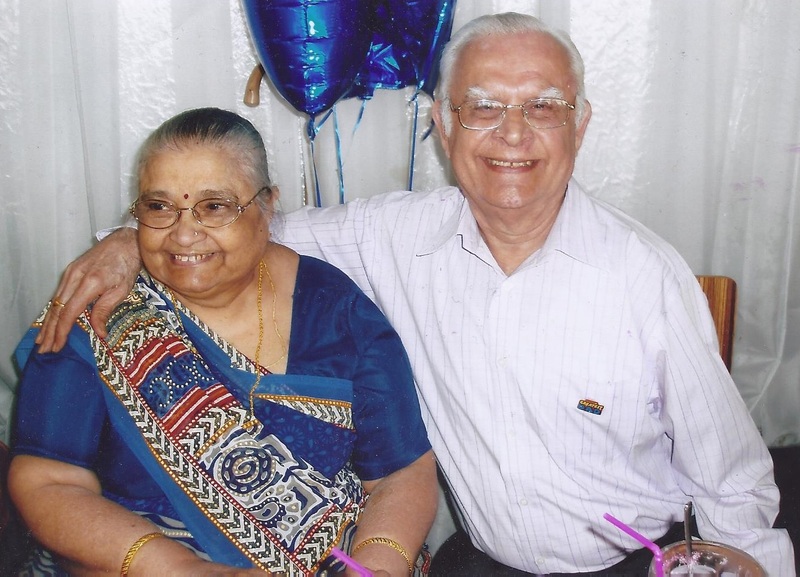 Most importantly of all, she was blessed with the love, warmth and support of her husband, my grandfather, Jayantilal Dattani, with whom she spent nearly 57 years in marriage. Our family may feel lost and desperately sad at her passing, but we have taken great comfort in the fact that her soul has merely changed clothes, having discarded a body that could no longer keep up with her. However rather than being reborn we know that her soul has broken free from the cycle of births and deaths and that she now resides in the all-encompassing and loving embrace of almighty God. Thank you to everyone who has sent prayers and messages of condolence to me and my family in recent weeks; they were a great comfort to us all and we very much appreciated them. May God grant nanima’s soul eternal peace. Jai Shree Krishna.